Another day roaming alone for lunch, another new place. Today, I was actually heading to Masterpiece, as I hadn’t been in almost two weeks, when I noticed another Chinese restaurant in the same strip mall. 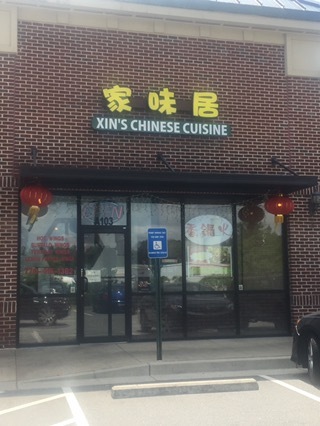 Walking down to Xin’s Chinese Cuisine, they had carry out menus by the outside door, so I grabbed one and checked it out. Finding it to be Sichuan, I was pretty much forced to go inside. I was seated at a table for two in the center, and made my selection. 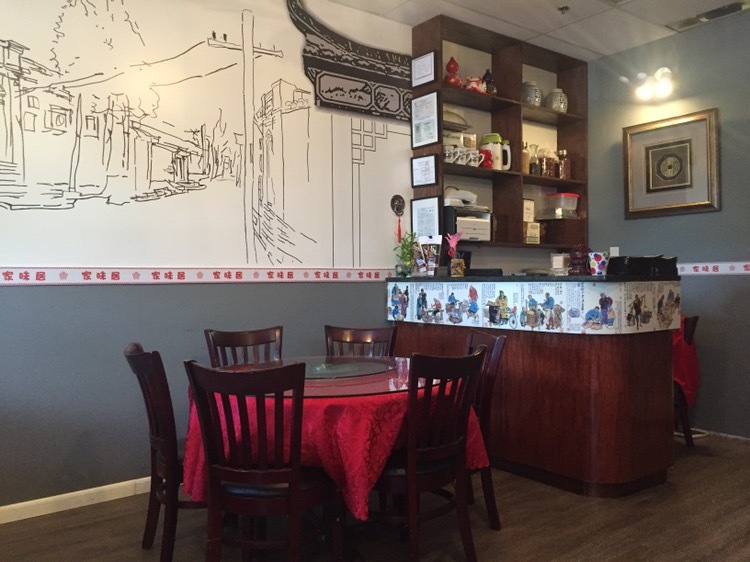 They have a section of lunch specials, but those leaned much more toward American Chinese dishes (sweet and sour chicken, Mongolian beef, etc.). There are so many differences between Chinese food and American-Chinese food, that they’re two entirely different cuisines. 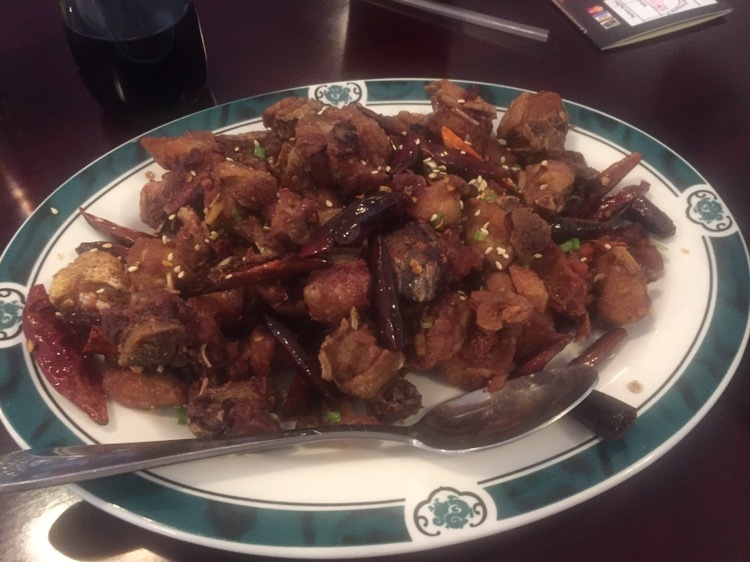 The “Chinese Food” I grew up on features dishes created in America (cashew chicken from Springfield, MO and General Tso’s (Tao’s) chicken from NYC are two that come to mind) that the average Chinese citizen wouldn’t recognize as “Chinese food” or, possibly, as even being chicken. 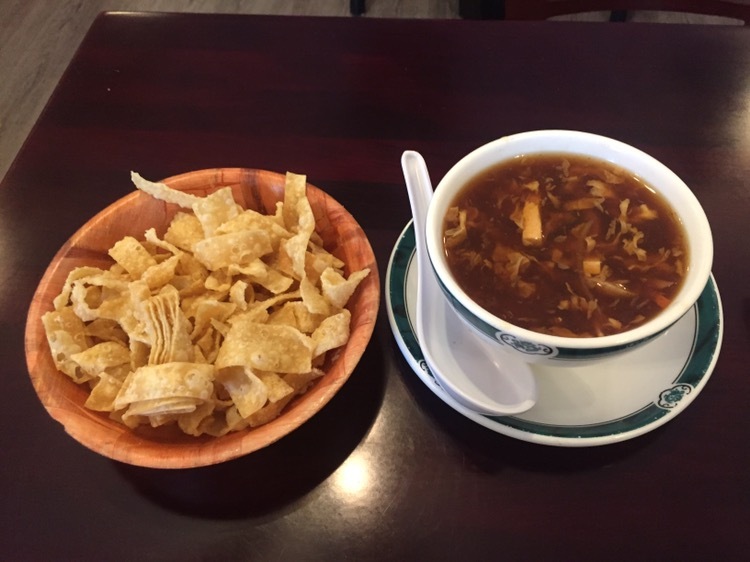 I started with a bowl of hot and sour soup (actually a soup from most Asian cuisines, with the “American version” being thicker, from the addition of corn starch. The soup was tasty and spicy. A good start. The chong qing chicken served here is only bone-in, which is not my preferred version. It was lightly battered and fairly tasty, but not as good as many of the other versions around town. It was a fine meal, but I would have a hard time dining here, with such a great option just four doors down.